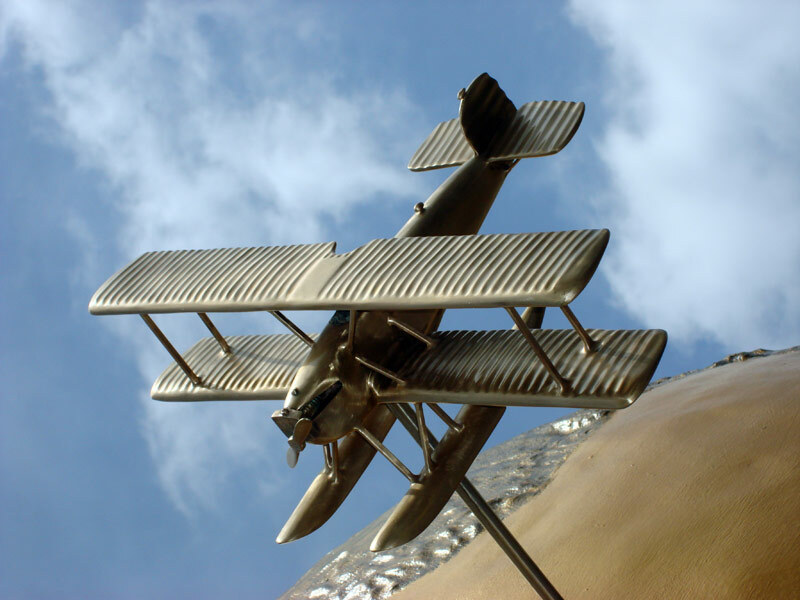 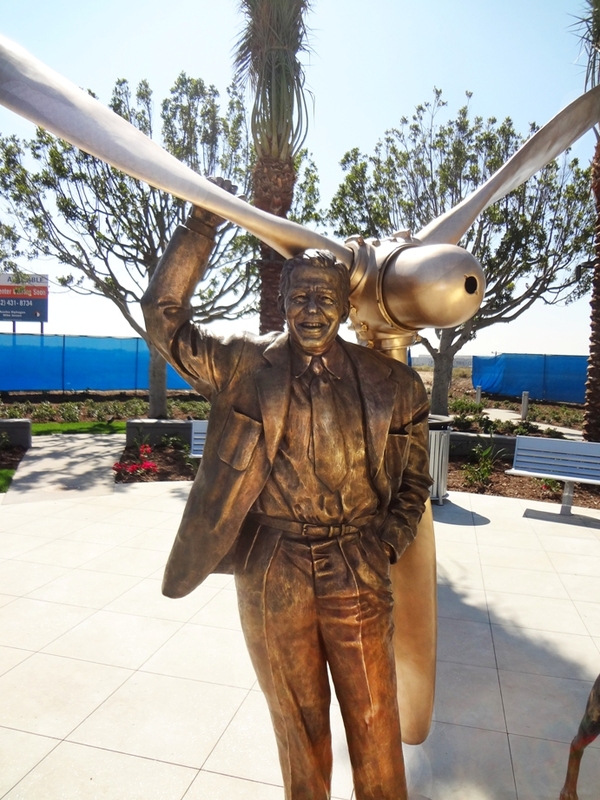 Great American Bronze Works was commissioned by the Boeing Company to create a number of sculptures for the Donald Douglas Plaza. 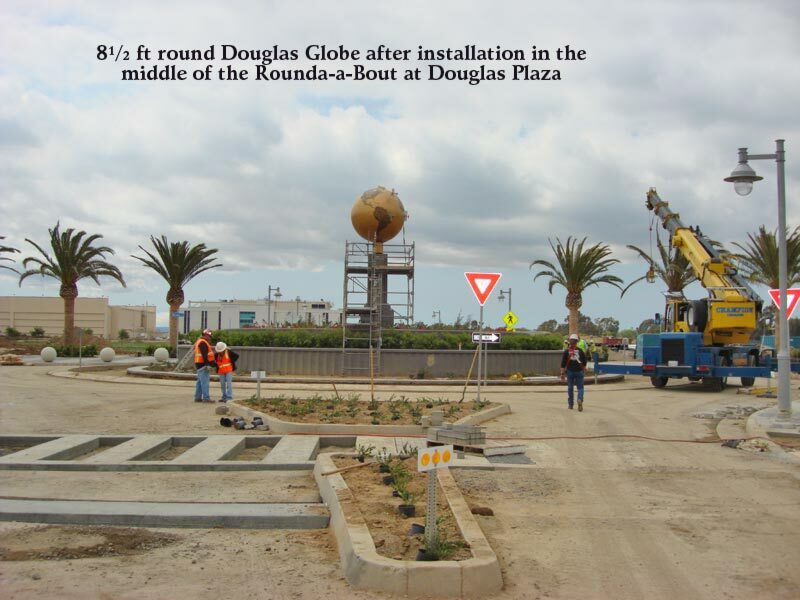 The former Donald Douglas Headquarters was torn down and has made way for a new commercial and retail complex next to the Long Beach Airport. 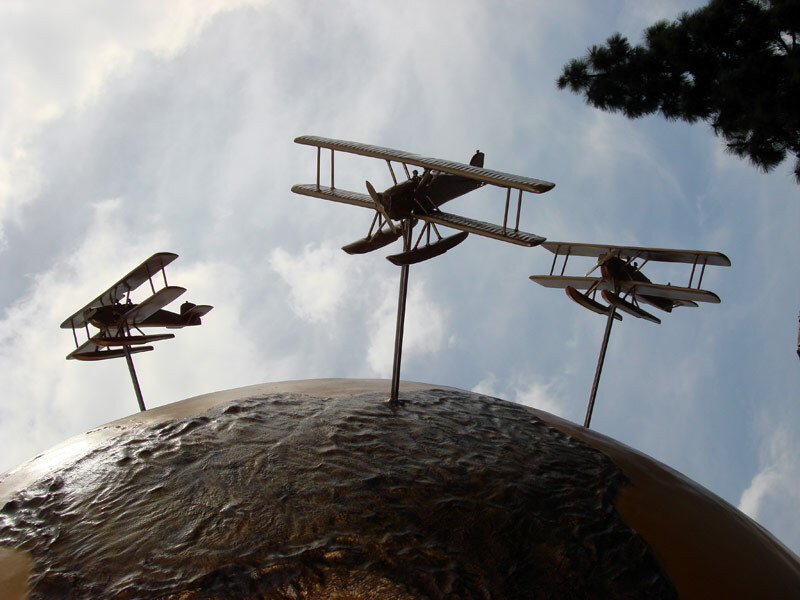 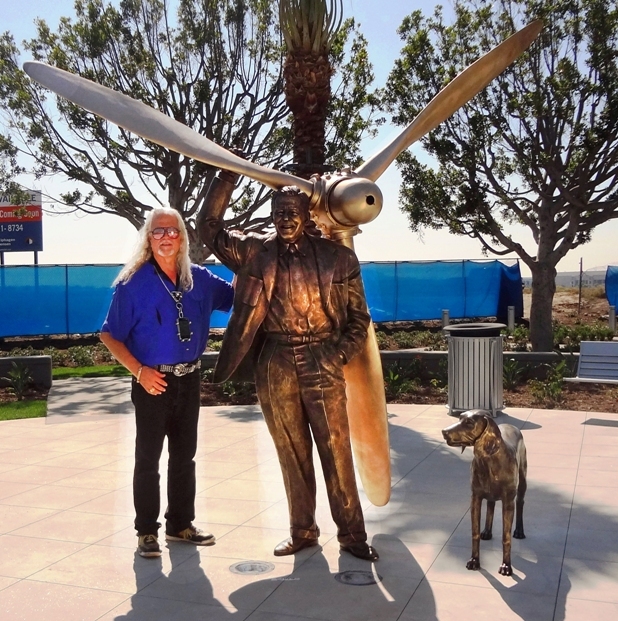 We are proud to have installed the final installation of these sculptures, Donald Douglas himself, this October at the Long Beach Airport. 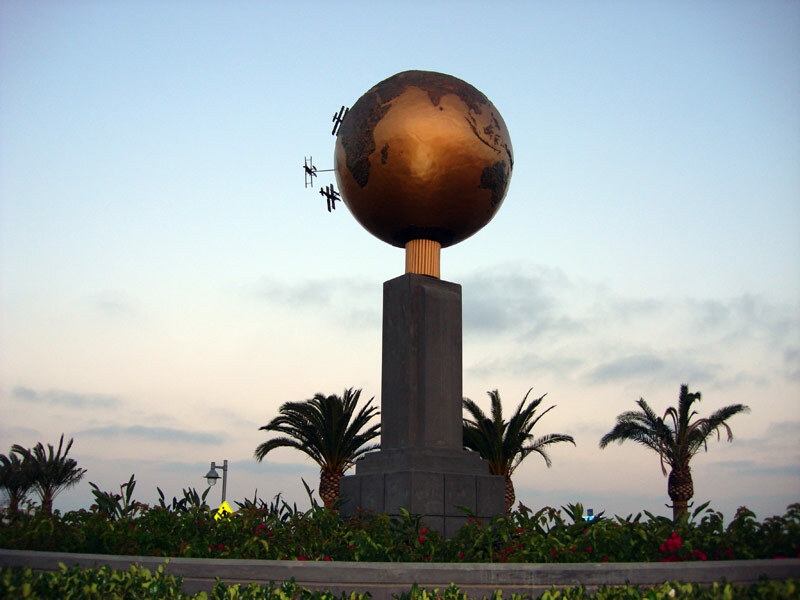 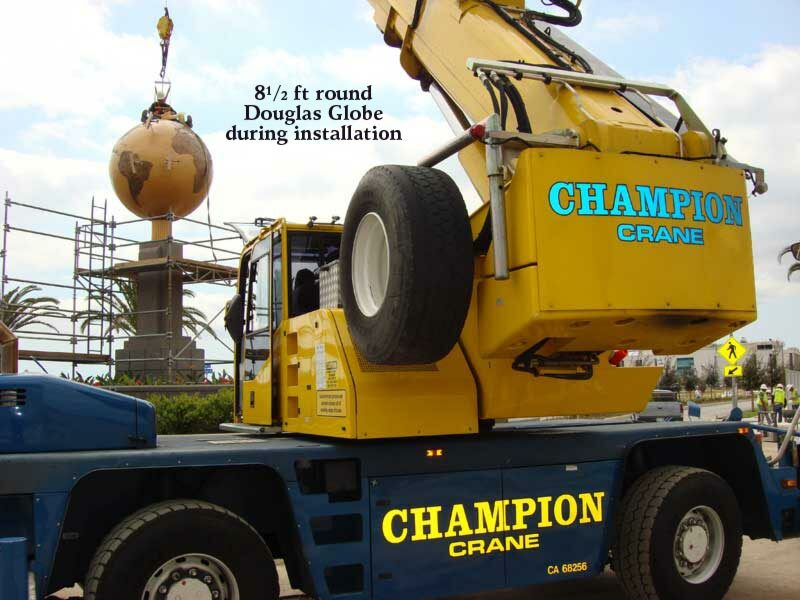 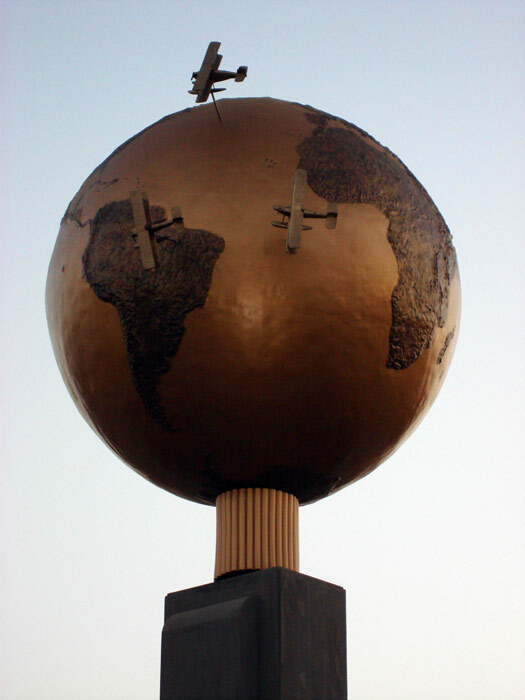 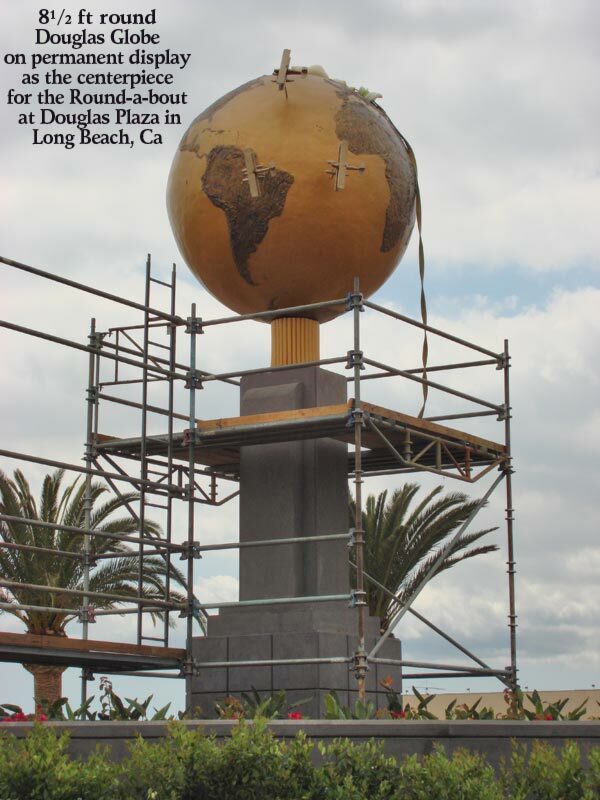 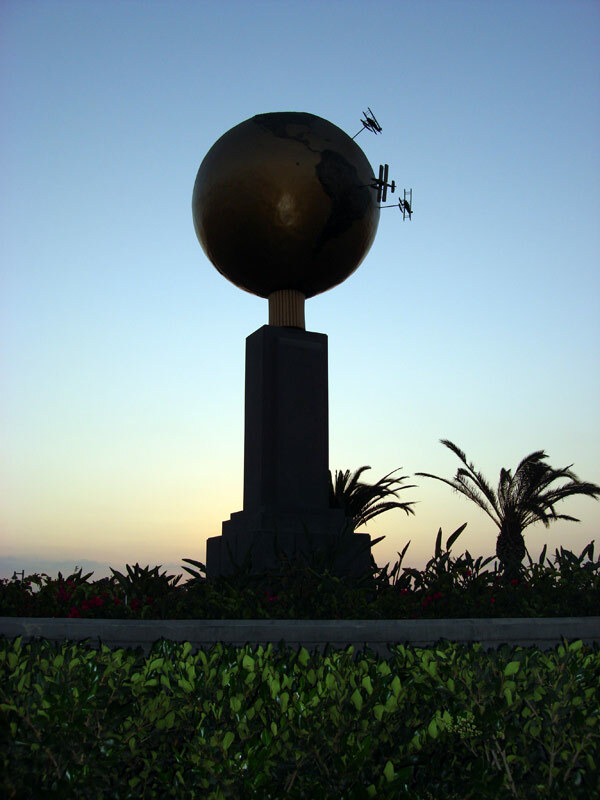 The 8.5 ft round Douglas Globe was initially installed several years ago, while we waited for the perfect placement of the Donald Douglas statue to become available. 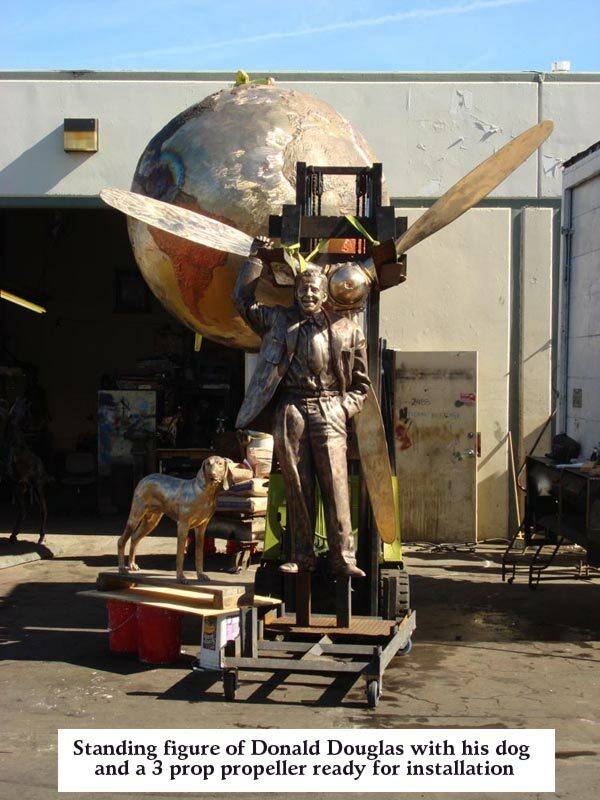 The Donald Douglas sculpture, and the Douglas Globe, before installation.